Updated Thursday April 18, 2019 by Maryland F.C..
Maryland FC is an elite team competing in top league divisons and top tournament brackets training 2-3x a week year-around. 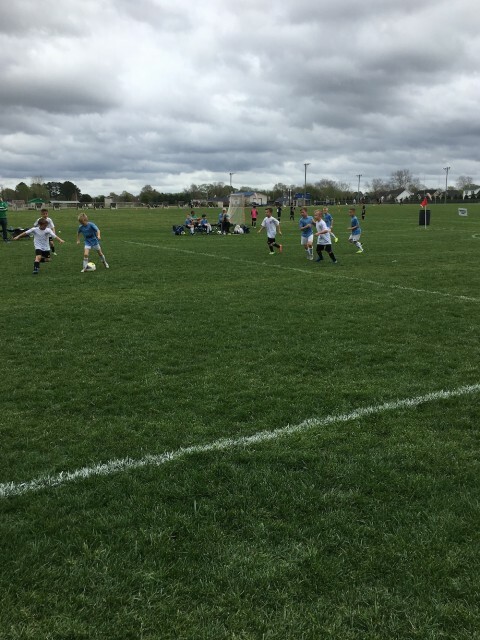 During the fall and the spring the team will compete in the CMSSL top division for their age group (2010 birth year) and in the CMSSL second division a year up (2009 birth year). During the winter months the team will be competing in the EDP Futsal League. The top team in each age division will qualify for the US Futsal Northeast/Mid-Atlantic Region Championship in Atlantic City, NJ. This past winter the team won their age division in the Pro Soccer Academy Futsal League undefeated. The team will compete in several major tournaments such as Jefferson, Potomac and Bethesda and 2-3 mid-major tournaments as well as few Friendlies. This team will also travel to Germany in 2021 (in August before school starts) staying at the soccer academy in Stuttgart, where coach Rich conducts many of his German Youth National Training camps, and play friendly games against Bayern Munich, Dortmund, Mainz and Kaiserslautern (with a chance to meet the Bayern Munich team and hang out during their practice session). NOTE: Any player interested in this team has to be fully committed to better themselves. This is not limited to team practices. Players are asked to spend significant time on their own to develop their skills (homework will be given to players weekly). The team is coached by Richard Moller. Any questions in respect to player development or any other questions for this team please reach out to Richard Moller at richard@fussballacademy.com. Richard is also the founder and president of CollegeSoccer.US. The company specializes in assisting prospective student-athletes from all over the US to identify their ideal college academically, athletically and socially. CollegeSoccer.US recently partnered with several European clubs to assist their players to play college soccer. Richard has sent many players to play in the Ivy League, ACC, Big Ten, Big 12, Pac-12, UAA, NESCAC, name a few conferences.